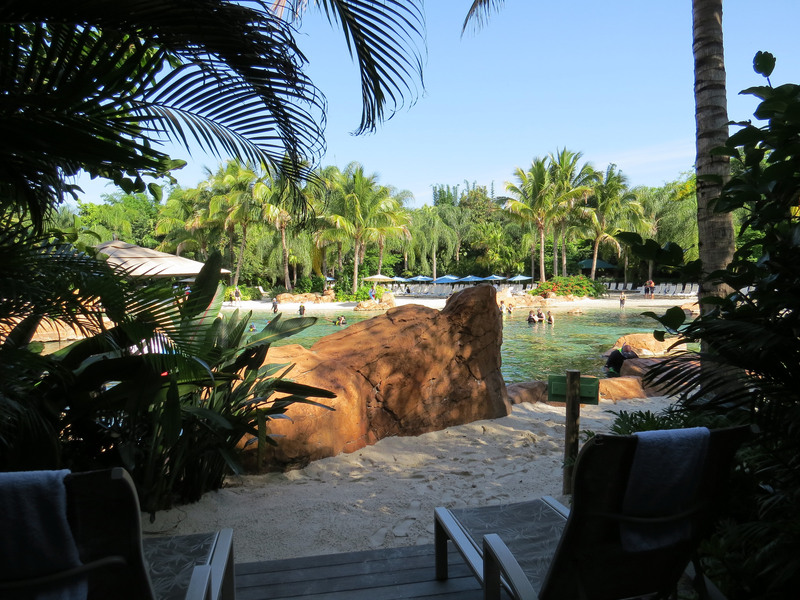 What do you get with a Discovery Cove Cabana? 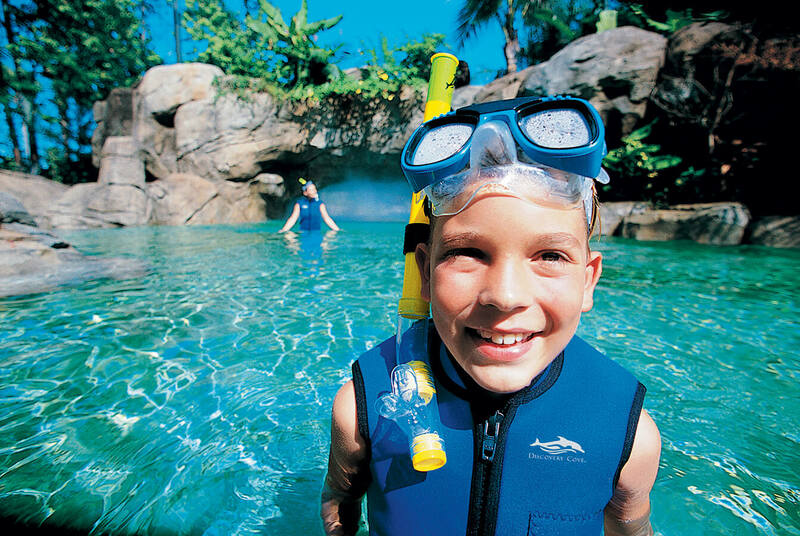 Home / Posts / Parks / Discovery Cove / What do you get with a Discovery Cove Cabana? 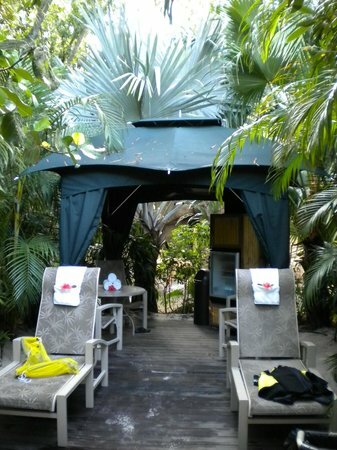 Discovery Cove has a small number of private cabanas for guests to rent out and enjoy during their visit – for a secluded place to relax when you’re not in the water or exploring the park. Thinking about renting a Discovery Cove cabana on your visit? This is what you can look forward to!…. Each cabana is kitted out with a table and chairs, chaise lounges, plush towels and plenty of shelter from the hot Florida sun. A basket of snacks and fresh fruit, plus a well-stocked mini-fridge will be awaiting your arrival. After 11am you can even enjoy your favourite beer, wine or a frozen cocktail! 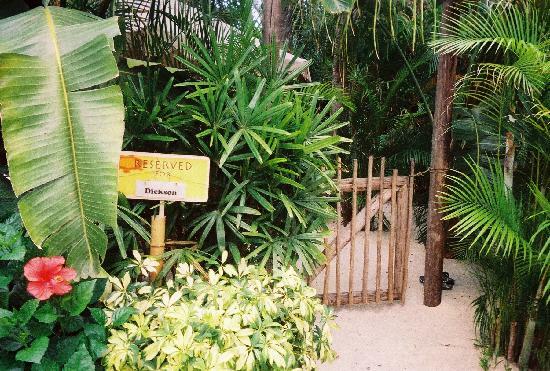 Discovery Cove’s cabanas are tucked away in the park’s lush landscaping, and accessed through a little gate to allow you a bit of privacy throughout the day. Perfect for a private siesta between swims! 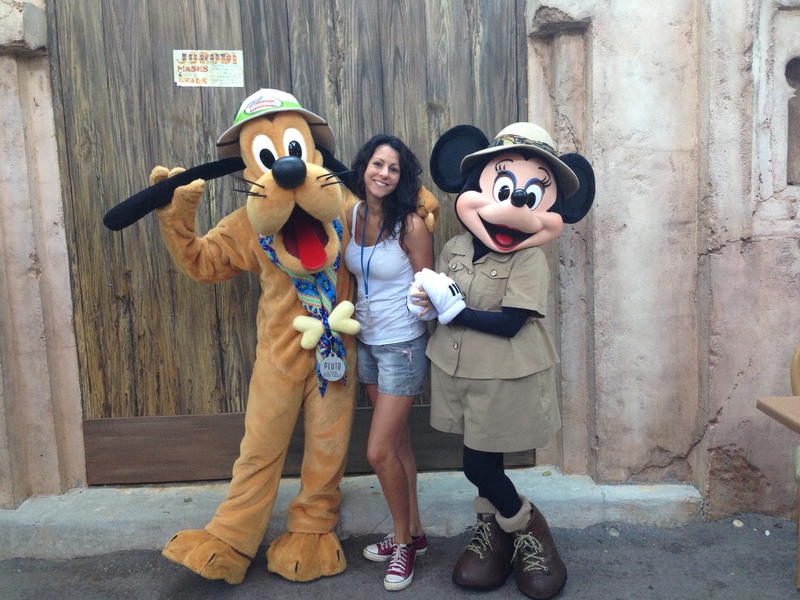 Cabana guests are checked on every so often by an attendant, to help out and bring you more snacks or drinks! Welcome shade from the hot sun! Even if you’re the planet’s biggest sun-worshipper, it’s nice to have the option of a place to cool off in the heat of the day. Want a cabana? Make sure you reserve it quick-sharp! There is only a limited number of cabanas so it’s advisable to reserve one well before your Discovery Cove visit rather than waiting til you get there.